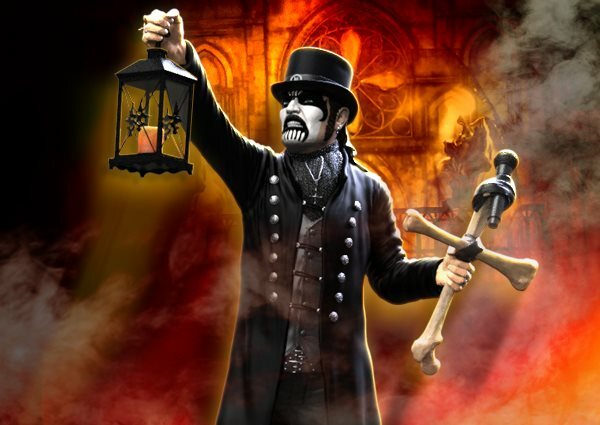 KnuckleBonz, creator of the Rock Iconz music collectible series, has announced that a statue of legendary Danish heavy metal singer King Diamond is now in production. The King Diamond limited-edition collectible is hand painted and numbered and produced as a fine arts piece. There are only 1777 created and sold worldwide. KnuckleBonz estimates the King Diamond Rock Iconz statue will ship early 2018. If you pre-order now, you will be included in a random drawing to receive a statue autographed by King Diamond himself. There will only be 77 of these signed statues, which also come with a special autographed certificate of authenticity. Fans who were randomly drawn for the signed version will be notified just prior to shipping. Reserve yours now to ensure you receive one of these limited-edition collectibles. King Diamond said: "If you place this statue in a room where you sleep, I will show you a glimpse of another world — a world you are not supposed to see… yet." The King Diamond limited edition collectible is hand painted and numbered and produced as a fine arts piece. There are only 1777 created and sold worldwide. 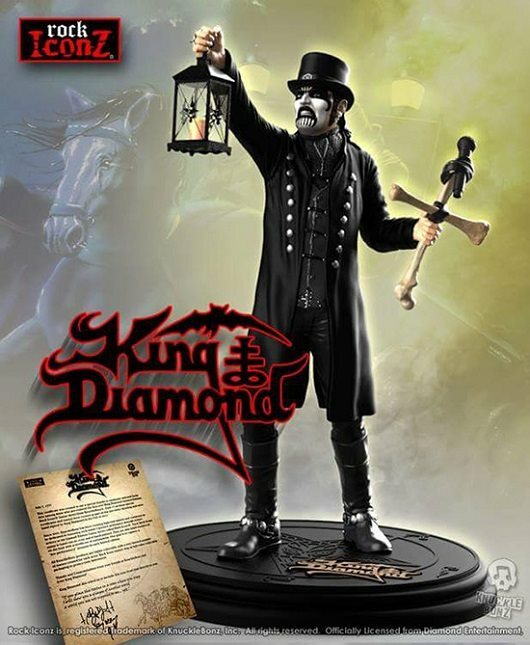 We estimate the King Diamond Rock Iconz statue will ship early 2018. If you pre-order now, you will be included in a random drawing to receive a statue autographed by King Diamond himself. There will only be 77 of these signed statues, which also come with a special autographed certificate of authenticity. Fans who were randomly drawn for the signed version will be notified just prior to shipping. Get updates on this drawing as well as the latest production updates at FaceBook/Twitter. a world you are not supposed to see... yet."